Living here is good for your health. Here for you, with tender loving care and breakthrough medical technology. Fortunate for our residents, Holland is located in one of the strongest healthcare regions in the country. People come here from all around specifically to receive treatment from our top specialists and medical facilities. Holland Hospital, in fact, has been recognized as a Thomson Reuters Top 100 Hospitals™, as well a top 50 recipient of Healthgrades America’s Best Hospitals™. And just 25 minutes east of Holland, there’s Grand Rapids, where several hospitals and medical care centers treat patients with industry-leading technology and care. 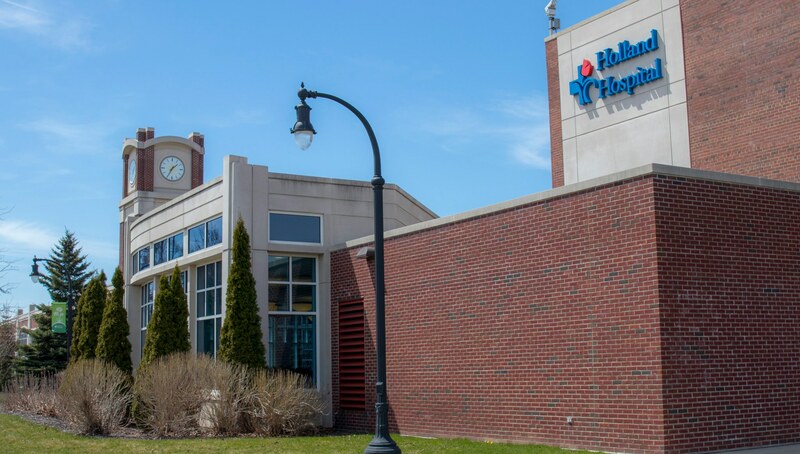 Grand Rapids is also home to Spectrum Health, a widely recognized West Michigan institution with several hospitals including the Helen DeVos Children’s Hospital and the Fred and Lena Meijer Heart Center.